Steph is my soon to be sister-in-law so when she told me she wanted photos of her and Joseph done (that weren't selfies) to celebrate their relationship, I knew it would be a fun shoot! I always love when couples want to do photos of them just for fun! No big event needed, just some sweet photos to commemorate their relationship at this moment in time. We went to the beautiful Scotsdale Farm in Halton Hills. I knew it was a beautiful location from all the posts I have seen of it on other photographer’s blogs and we weren't disappointed! With overgrown fields, historic buildings, and a tree-lined entrance, this farm made for the perfect setting! 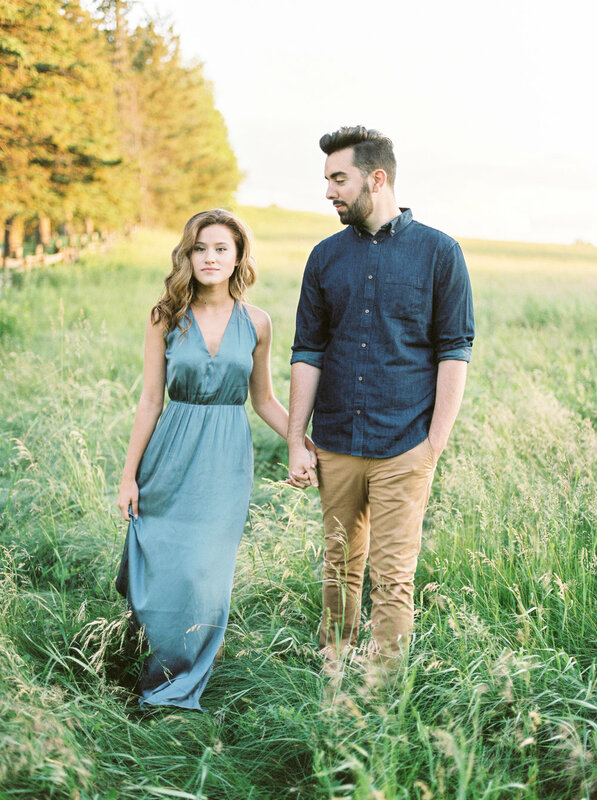 We had the perfect summer evening with the dreamiest golden light. This farm would be beautiful any time of year! S&J made it very easy for me to photograph them. They were constantly giggling and being playful with each other and I was able to capture how they are in their relationship. Fun, energetic, and loving! I can't wait until I can officially call them my family! Featured on Joy Wed! Check it out here! Want to see other couple’s sessions? 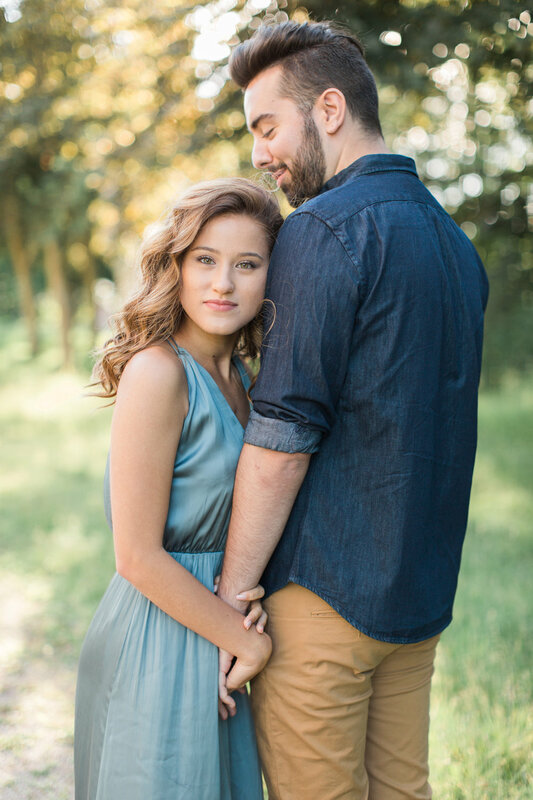 Click here to see Ciera and Steven’s sweet in-home session.